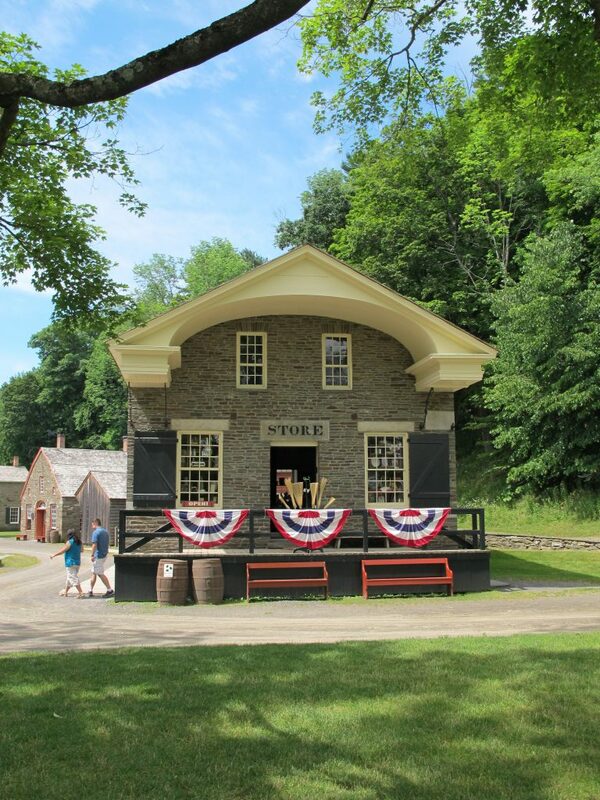 The general store was a great place to buy goods and get the days news in 1840. Now our general store is a great place to buy a fun memory of your trip. 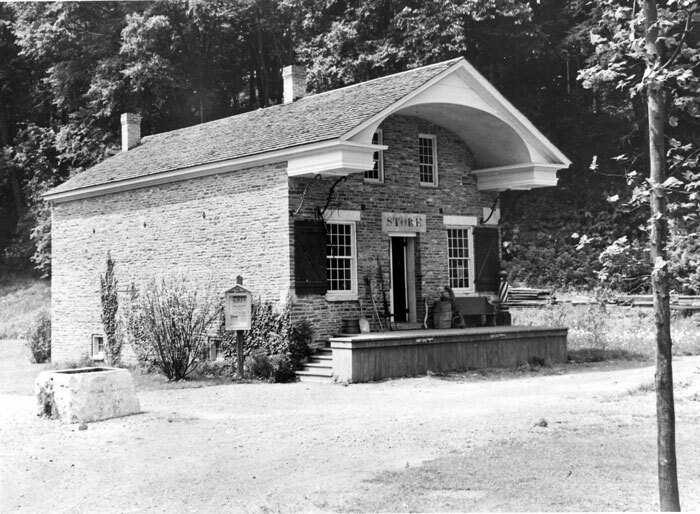 Todd’s General Store was built around 1819 in Toddsville, New York, by Lemuel and Jehiel Todd. The store was used as a company store for the mills they ran in Toddsville. It also served farmers and craftsmen in the surrounding area. The building was relocated to The Farmers’ Museum in 1944. Stores in rural upstate New York in the 1800’s were a vital part of the community. They provided farmers and villagers with goods they either could not, or did not, make or grow. Stores often served as the bank for smaller communities that did not have a bank. They were also a popular gathering place where people could get information, as well as trade or sell surplus goods. Purchases could be made with cash or credit. In the early 1800’s, cash was limited. As a result, most purchases would be made using credit. Customers who made purchases on credit could bring in surplus goods they made or grew to pay on some of the balance they owed. Customers could also work off some of their debt by doing jobs for the shopkeeper. Some of the work they could do might have included cleaning the store and hauling goods. 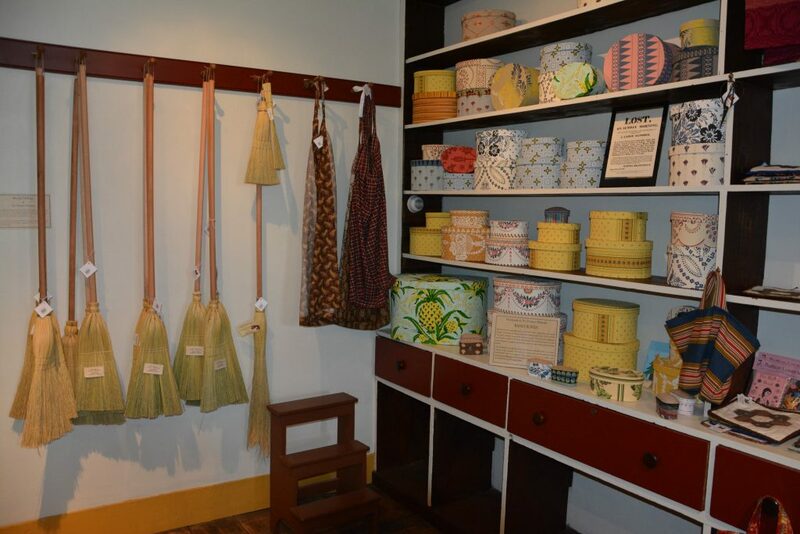 Early on, stores stocked goods that were often manufactured in Europe or the West Indies. 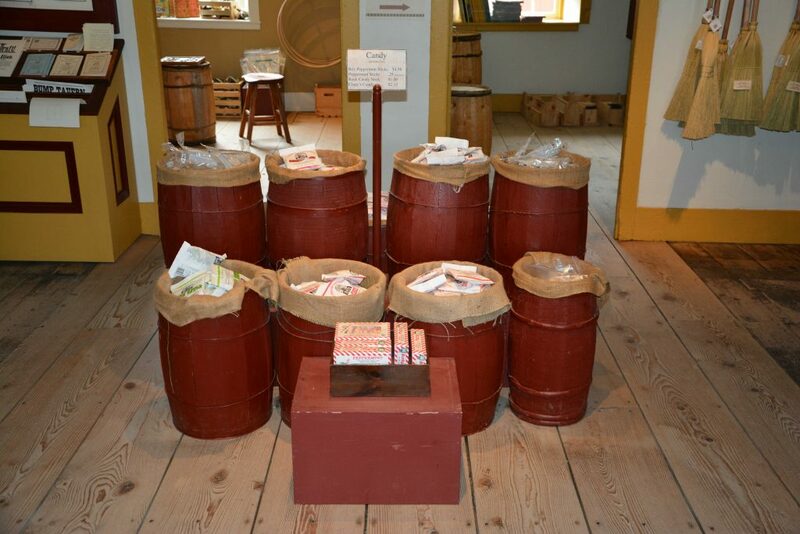 Goods such as cloth, glass, gun powder and shot, medicine, and iron tools would be imported from Europe. The West Indies would supply salt, molasses, rum, coffee, and spices. 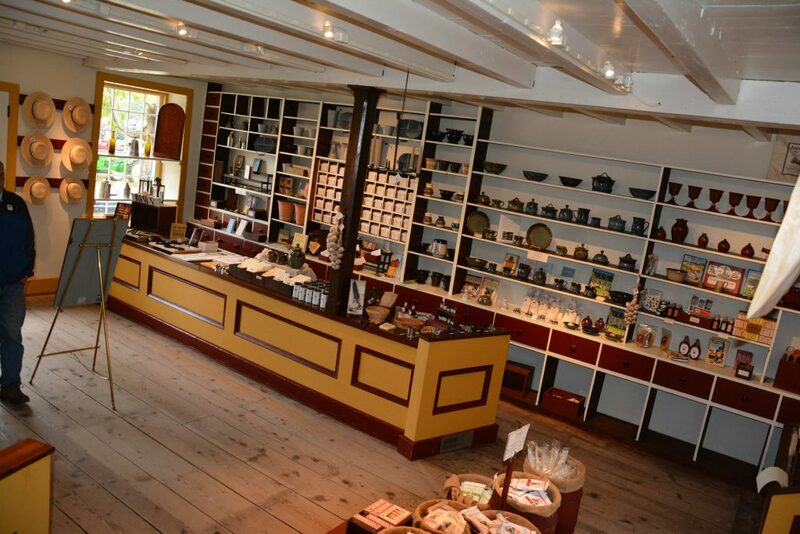 As technology and transportation improved, the inventories in general stores changed. 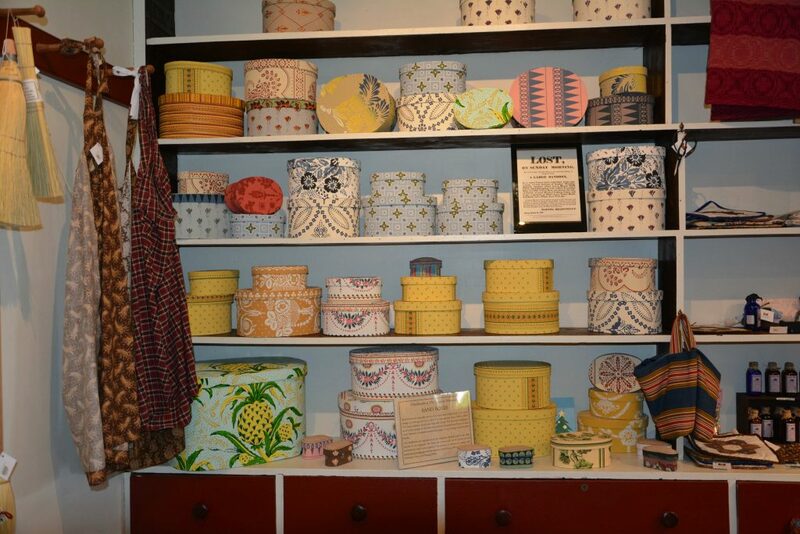 Domestically manufactured goods such as cloth, iron ware, and ceramics replaced imported goods. 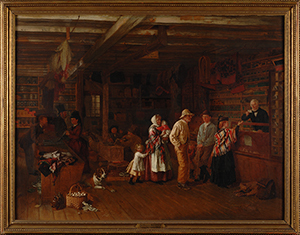 Shopkeepers would make buying trips to larger communities like Albany and New York City to stock their stores and sell any surplus that their community created. 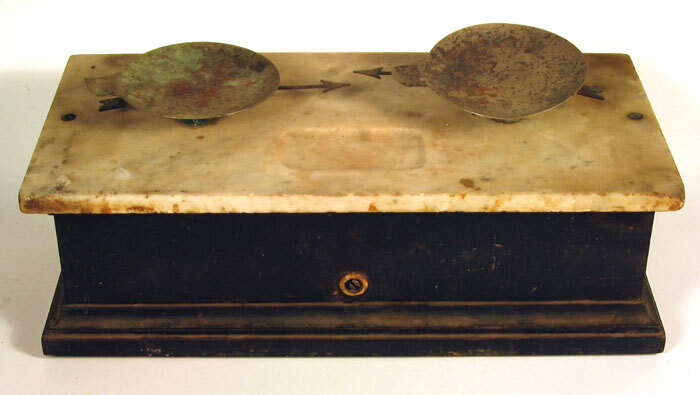 Bandboxes were made from an early form of cardboard. The pieces were sewn together, and the box was covered with wallpaper. Used to hold hats, caps, gloves, scarves and other accessories, as well as small pieces of clothing, they were often used when traveling. In 1862, Lucy Medora Walker, a woman from Springfield (Otsego County), New York, kept a diary. 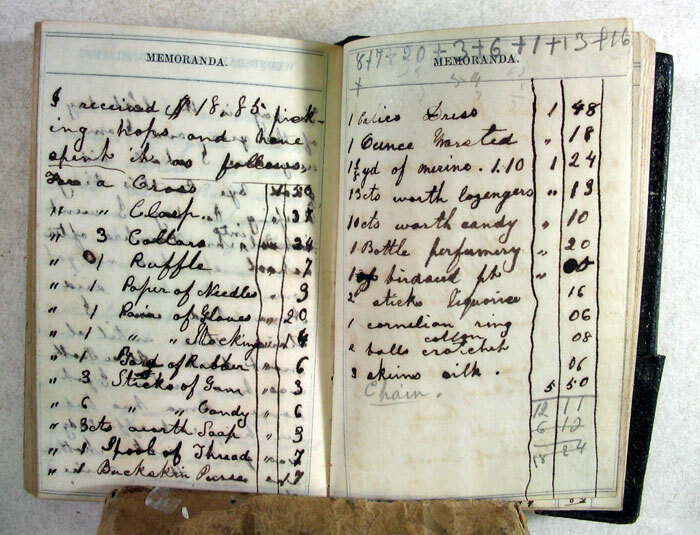 In addition to recording her daily events, “Dora” kept a memorandum in the back of her diary that tracked how much of her money she spent. She earned her money by picking hops. Basket making is a craft that is still practiced today. Baskets are both pretty and useful. These baskets were probably used in daily life for holding food and other goods. They have been decorated with multiple potato-stamped images. 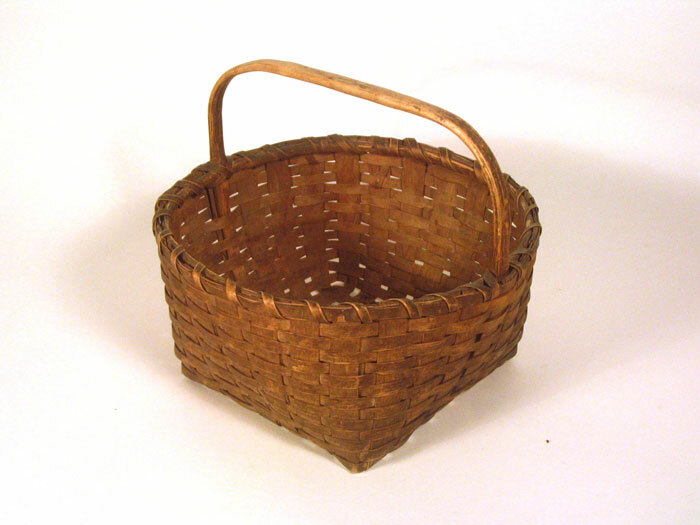 Baskets like this one were often used to gather and transport small items like eggs, peas, and beans. Children were often give the chores of collecting eggs and picking vegetables in the garden. 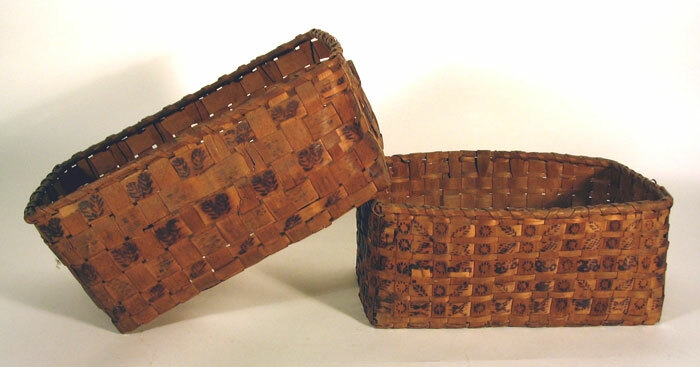 This basket is made of thin pieces of wood, called splints, which have been woven together. Farmers transported their goods to markets and customers in a variety of ways. Shipping freight by train became very popular during the nineteenth century. Cooperstown & Charlotte Valley R.R. Co. Freight Voucher, November 6, 1896. Fenimore Art Museum Library, Cooperstown, New York, Ephemera-transport-RR.